I love new beginnings. A new year brings fresh opportunities to start over, to get refocused on what is important in life, to live out God's will in an even greater way. Like probably many of you in the Rich Christian audience, I'm glad to see the end of 2009 and the beginning of 2010. This past year, I have encountered extreme challenges in my own life. I never again want to experience the hurt and heartache that I have had to endure, but I praise God that He has helped me through it. One day, I hope to be able to blog in greater detail the struggles that I have been through. For now, I rest in the hope of our Lord for a better and brighter future that He has prepared for me. As the old saying goes, when life serves you lemons, make lemonade, and I plan on making some even sweeter lemonade in this new year! 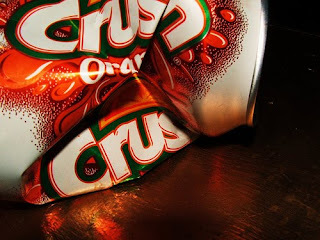 I recently started reading a great book entitled Crush It! Why Now Is the Time to Cash in on Your Passion by Gary Vaynerchuk. Although this book is mainly focused on personal brand building and crushing it in the business world, I believe the premise of the book is a good one: using difficult times as an opportunity to really go for it. 2009 was a difficult year and 2010 may not be much better. Through the power of the Holy Spirit, use the difficulty to your advantage. Plan on "crushing it" this year! How do you plan on "crushing it" in 2010? I plan on "Crushing It" in a number of ways! First, I'm going to take Gary's advice from one of his videos and STOP WATCHING LOST! OK, so I probably won't...but the point is to get rid of the time wasters. I am going into 2010 with a new job and new schedule. I have scheduled time in for my writing projects, time for the gym, and last but certainly not least is spiritual time. My goals are broken down by year, month and week. Each day has action steps to ensure my weekly goals are met. If I fall short, I access why and keep it moving. Focus and get it done! Good for you, Lakita! It sounds like you're focused in on what you want for 2010. Keep on, keeping on!